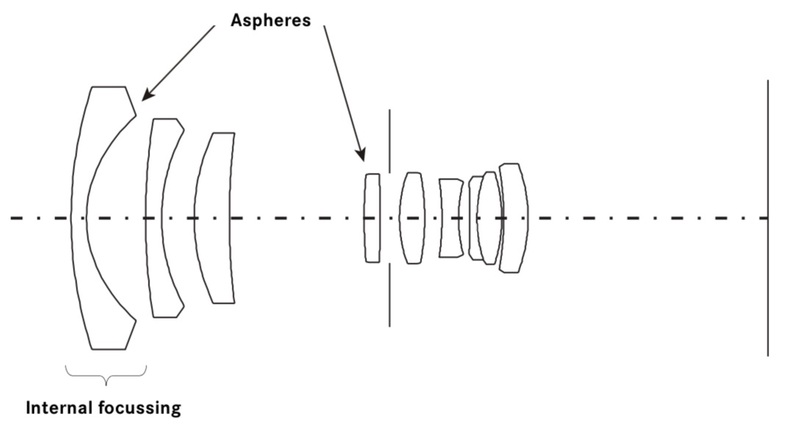 ASPH The lens incorporates aspherical elements. A compact, lightweight zoom lens that covers the full range of the most frequently used focal lengths in the wide-angle range. 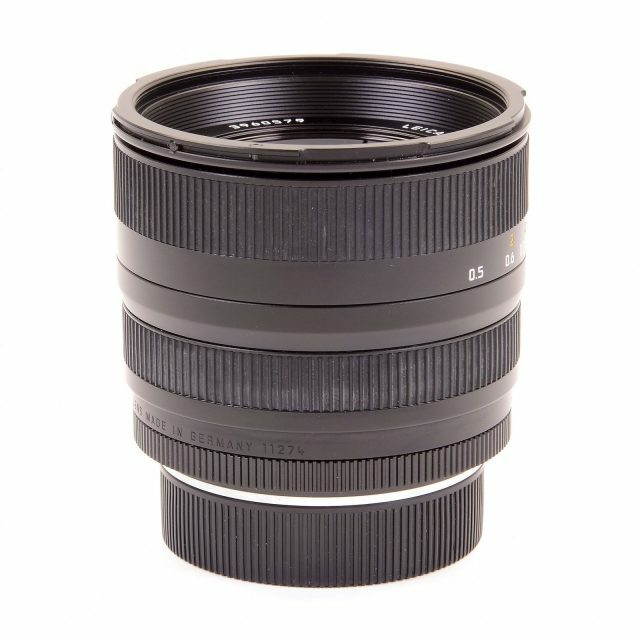 Even at full aperture, both contrast and sharpness are comparable to those of lenses with fixed focal lengths. In spite of its compact design, it has an unusually high performance. That is due to the use of two aspherical surfaces and two lens elements made of high-refraction optical glass and glass with anomalous partial dispersion. Its aspherical surfaces are fabricated with a highly modern precision polishing process. 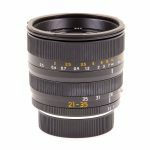 For a wide-angle lens, susceptibility to reflections and barrel distortion are low. 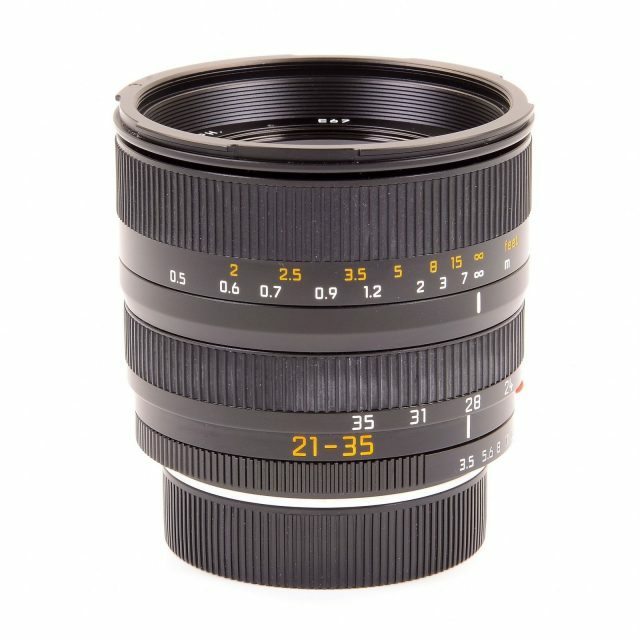 With its highly practical range of focal lengths and its outstanding imaging performance, this lens masters especially those tasks for which one would otherwise need four different wide-angle lenses: from photographing people and their nearby surroundings to spacious landscape photographs with a great feeling of depth. As a wide-angle zoom lens, the use of only two additional zoom lenses can form a high-performance, lightweight and complete outfit – for instance the LEICA VARIO-ELMAR-R 35–70 mm f/4 as the normal focal length and the LEICA VARIO-ELMAR-R 80–200 mm f/4 as the tele lens.